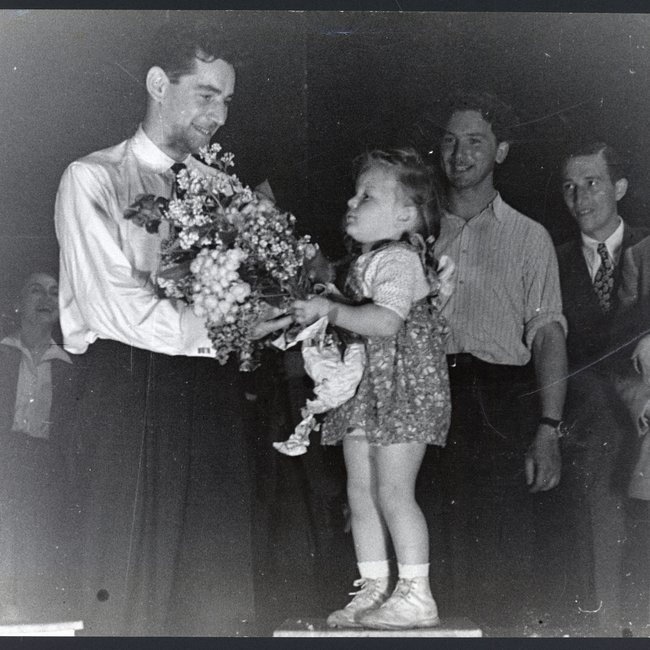 Leonard Bernstein at a concert in a refugee camp in Germany around 1948. The display focuses on the individual stories of those who lived through the horror. One such story belonging to Sam Pivnick, who found himself interned in the infamous Auschwitz-Birkenau death camp. Now in his late eighties, he still has the row of tattooed blue numbers on his left arm that once marked him out as a condemned man.